Amanda comes from a family of builders, makers and painters, and has been using brushes and tools from an early age. Her business, The Brush and Hammer Company, got its start when she began painting curbside finds for her apartment while in college. Amanda soon graduated to flipping furniture for profit. In 2015 she began a successful home decor collection, building signs and other smaller items. 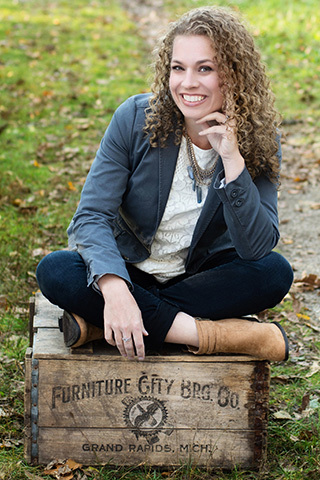 These days instead of flipping furniture, Amanda focuses on custom refinishing contracts and advises her clients on color and finish selections for larger home projects, in addition to building her line of products.